Whenever you need to include real cheeses in your recipe, you will either have to take the time to cut them real small or grate them; that way, they will melt easier and blend with your dish better. But that takes time! While we may not always be busy, it's a relief when we can have one less task to do, especially after a long day. All you've got to do is open a canned cheese sauce, add that to your recipe and voila! One less problem to worry about. Afraid it won't taste as good? No worries, we'll be giving you recipes you can make with a canned cheese sauce and how to make them taste like the real thing! Use A Canned Cheese To Make Awesome Recipes! Cheese can add both creaminess and flavor to your favorite dishes. There are many different types of cheese you can explore if you're serious about learning all about them, but of course, it will take time and money to learn. Here, we just want to make your life easier so we'll be teaching you some awesome recipes you can follow using a canned cheese sauce. 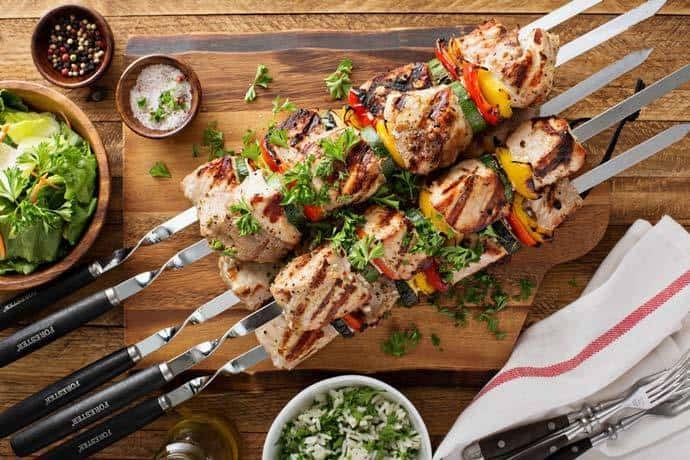 Despite the fancy name, kebabs are usually fish, seafood, meat, or vegetables on a stick. They are usually grilled though other recipes require baking instead. In this recipe, we will be making a marinated beef kebab with some canned cheese sauce. 2.To prepare the beef: Combine garlic, rosemary, 1/2 teaspoon of salt, 1/4 teaspoon of pepper, and 2 tablespoons of oil in a bowl. Add beef, then marinate for 10 minutes. 3.Mix bell peppers and 1 tbsp of oil in a small bowl. 4.Whisk the remaining 3 tbsps of oil, vinegar, mustard, and remaining half tsp of salt and the 1/4 tsp of pepper in a large bowl. Cook with watercress and cucumber. 5.Thread beef onto metal skewers, then bell pepper, then beef again. Make sure to alternate the two. Grill to medium-rare, about 5 minutes. Serve kebabs with blue cheese dressing as a dipping sauce and watercress salad on the side. Canned cheddar cheese soup is very easy to make and is a great addition to even the simplest dinner. It's very easy to make but can complement your main dish very well. 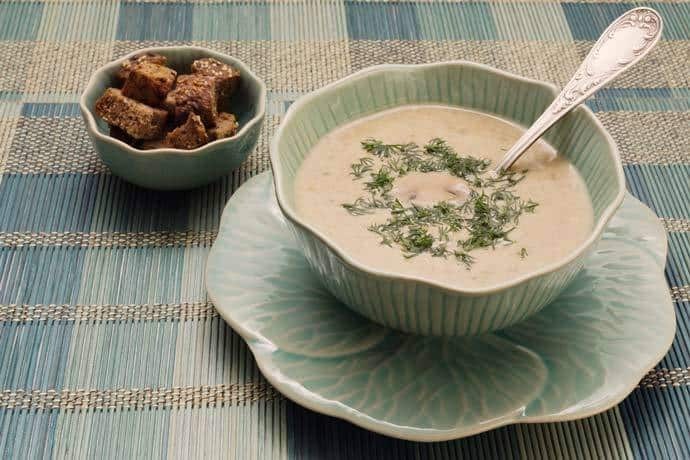 This can easily be your go-to soup recipe whenever you want to make something in a jiffy. 1. In a saucepan, melt butter over low-medium heat. 2. Add flour and stir until smooth and bubbly. 3. Remove from heat and slowly add milk, stirring continuously to keep it smooth. 4. Put back to the heat and bring to a gentle boil, constantly stirring until thickened. 5. Add canned cheddar cheese sauce until blended completely. Add salt to taste. 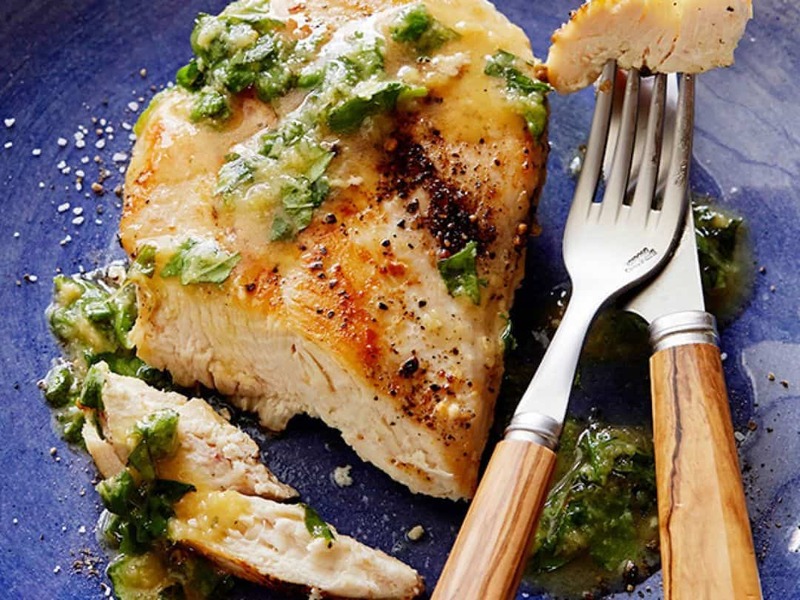 While the list of ingredients may seem long, this chicken recipe is very easy to make. It also looks very fancy on a plate and can easily make the right impression in case you want to impress an unexpected dinner guest. Using a canned cheese sauce with this simple dish can take it from dull and boring into something quite exciting! 1. Heat 2 tsp of olive oil in a large saucepan over medium-high heat. 2. Season chicken breasts with the salt, pepper, chili powder and cumin. Add the seasoned chicken breasts to the saucepan and cook both sides until golden brown. 3. Remove chicken from the saucepan to a plate and cover with aluminum foil to keep warm. 4. Reduce heat to medium and add remaining two tsp of olive oil to the saucepan. 5. Saute the diced onion and jalapeño in the same saucepan, occasionally stirring, until it has softened. Add the garlic for about half a minute. 6. Add chicken broth and cream cheese and stir until melted. 7. Add the canned cheddar cheese sauce and allow it to simmer for about two minutes. 8. Return the chicken breasts to the saucepan, along with any accumulated juices. 9. Cover the pan, reducing the heat to low and cook for about five minutes until chicken is cooked through, depending on how thick the meat is cut. 10. Serve chicken on a plate and drizzle all excess sauces on top. 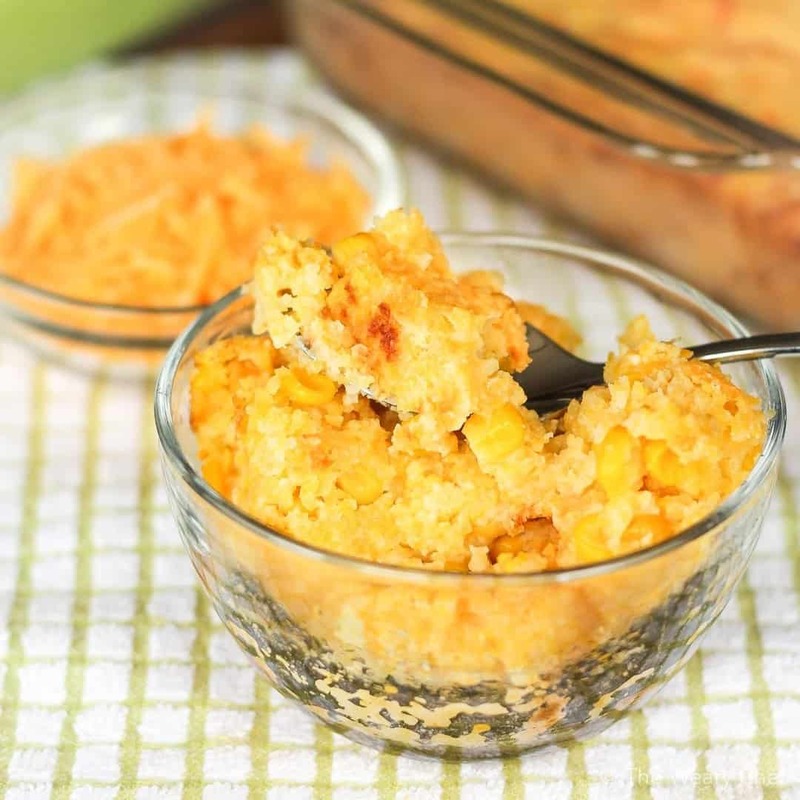 Corn puddings are traditional and homey at the same time. They can be stored at room temperature for several days which means you'll be able to grab a bite for the week whenever you don't have time for breakfast! Also, they make for good after-dinner snacks whenever you don't have desserts handy. 2. Grease a 2-quart casserole dish lightly with olive oil or a cooking spray. 3. Sauté the onions, red bell peppers, and garlic in the olive oil. 4. Add the corn and continue to cook. 5. In another saucepan bring the milk to a simmer and slowly stir in the cornmeal. 6. Simmer for 2-3 minutes, constantly stirring until thick. 7. Remove the saucepan from the heat. 9. Mix the egg and egg whites together then slowly add them to the cornmeal mixture. 10. Stir in the onion mixture, canned cheddar cheese sauce, and parsley into the cornmeal mixture. 11. Spoon mixture into the prepared casserole dish. 12. Bake for 40-45 minutes or until firm. 13. Lightly graze top with any left canned cheddar cheese sauce to add flavor. 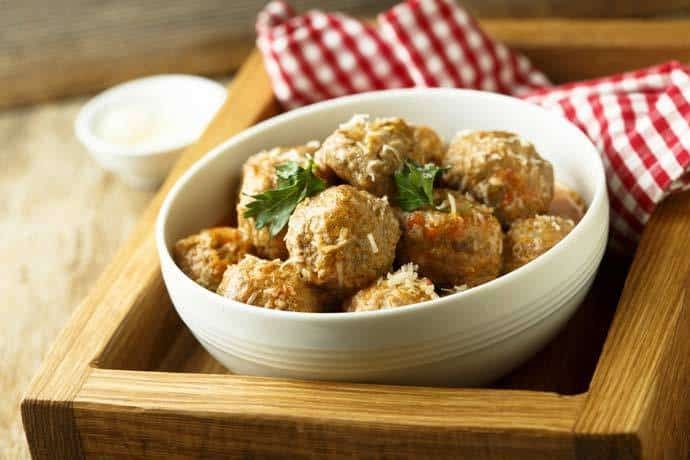 Meatballs are already delicious enough on its own, but adding cheese in the center or as filling can make it even better! It's so good that you can even snack on it. It's like meaty pops that you just won't be able to stop eating. They're that delicious! 1. Start by combining all ingredients in the list except for the olive oil and the canned cheddar cheese sauce. 2. Make sure all ingredients are combined well. 3. Heat a saucepan over medium heat and add the olive oil. It's best if you're working with the nonstick saucepan so you’ll need less oil. Use more oil if you have to. 4. Place a spoonful of the meat mix onto your palm, flatten it, and scoop a half-spoon of canned cheddar cheese sauce onto the center. Fold the edges of the meat in until you have completely enveloped the cheese in the meatball. 5. Carefully place the meatball in the saucepan until it turns golden on all sides. 6. Repeat steps 4 & 5 until you’ve used all of the mixture. 7. You can eat it as is or you can add it to your meatball spaghetti recipe by adding tomato sauce. When using canned cheese sauce, you may want to add a bit of water when cooking so it wouldn’t end up too salty and too thick. Using canned cheese sauce straight from the can is not the best dip choice. You may want to opt for the canned cheese dips rather than cheese sauce as they are better suited for this purpose. 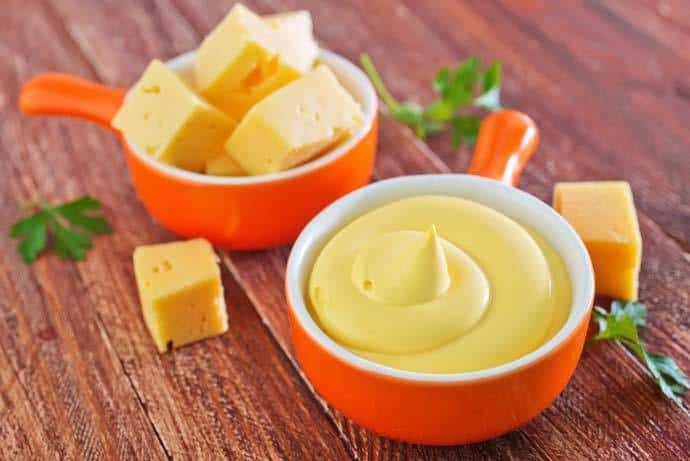 There are many canned cheese sauce options available, from a regular cheddar cheese sauce to nachos-flavored ones, and many more. Feel free to try different flavors and find out which ones could work best with your favorite recipes. Feel free to experiment with other recipes that need cheese! Use a canned cheddar cheese sauce instead and enjoy the convenience. As long as you don’t scrimp on your other ingredients, your recipes will turn out great! Always go for a good quality brand of canned cheese sauce, so you're rest assured your dish will turn out great and not odd-tasting. Share your recipes with and let us know what you think! Post your comments below and please don’t forget to share this article with your friends if you enjoyed it. Thank you for reading!